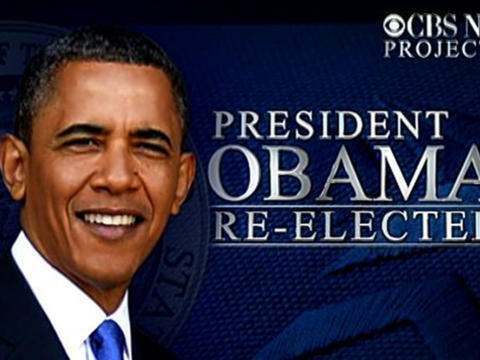 President Barack Obama won (November 6, 2012) re-election to the White House with a landslide victory over Mitt Romney, according to projections from most of the television networks. 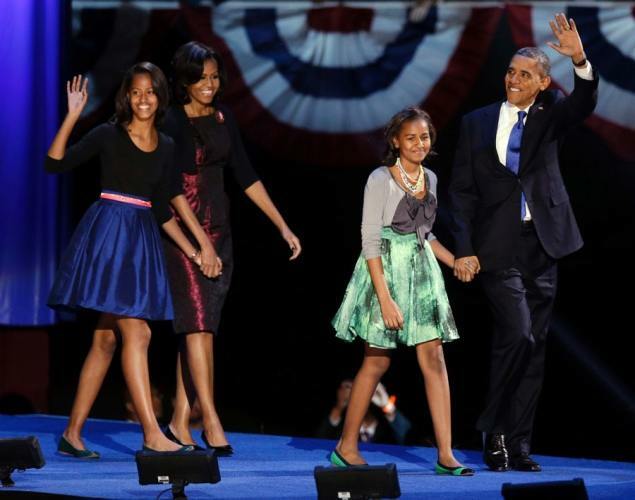 Four more years, the people shouted as President Barack H. Obama wins the 2012 election by a landslide. The Electoral College votes are Obama 303, Romney 203. 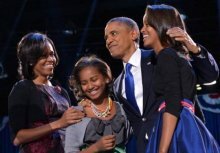 Despite a still-sluggish economy and a historical record that suggested he should have a difficult time winning re-election, Obama, the nation’s 44th president, won a second term for President of the United States of America. Obama says he will return to the White House “more determined and inspired than ever” after defeating Republican rival Mitt Romney and winning a second term as president. To win, a candidate needed to secure 270 electoral votes. Major U.S. networks projected that Obama had achieved his long-sought goal of four more years in the White House even before some of the key battleground states were declared, such as Florida, Virginia and Nevada. 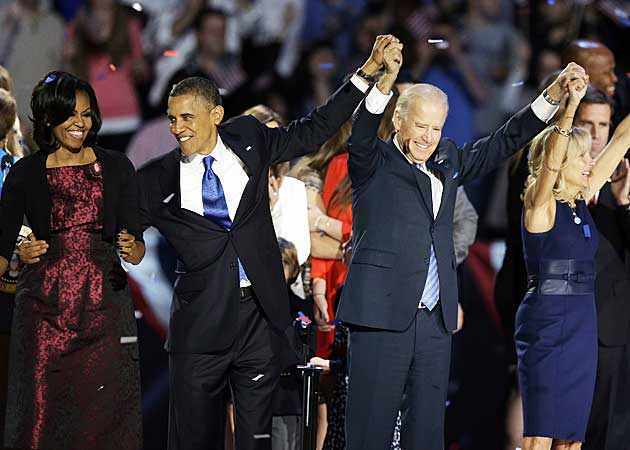 Obama had won much of the traditionally Democratic northeastern U.S. early in the night, including Pennsylvania, while Republican challenger Romney secured the conservative base across a swath of states including Texas and Georgia. 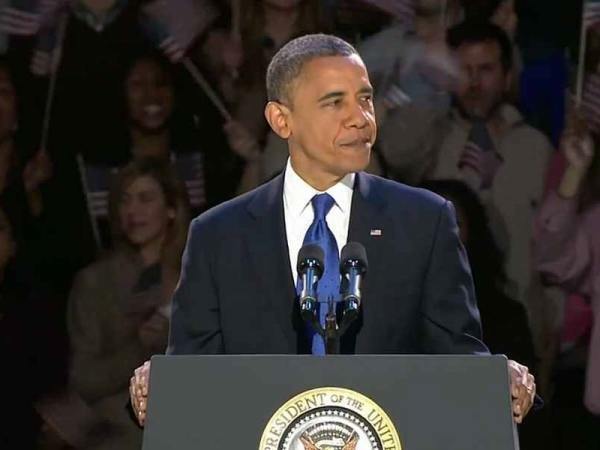 Obama sealed his victory with wins in Ohio, Iowa, New Hampshire and Colorado, four of nine battleground states where the two rivals and their allies spent nearly $1 billion on dueling television commercials. Romney, the former Massachusetts governor who was born and raised in Michigan, conceded shortly before 1 a.m., telling disappointed supporters in Boston that he and running mate Paul Ryan had “given our all to this campaign … but the nation chose another leader.” He said it was time to set aside partisan division and reach common ground to solve the nation’s problems. 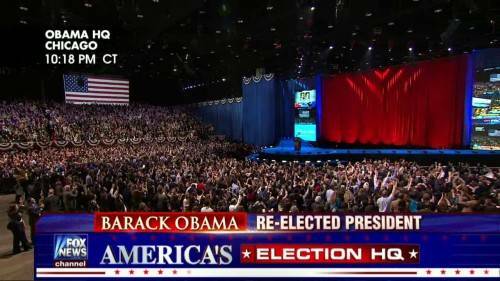 Obama’s historic win in 2008 saw him enter office facing a recession, a failing auto industry and two wars. Now, the task is no less daunting: a financial fiscal cliff looming at year’s end that, without a deal, could again slow economic growth and a toxic, polarized political atmosphere that has seen both sides dig in their heels in the past. The president goes into the lame-duck session lacking a clear mandate, perhaps. But neither will the Republicans be able to claim higher ground after the Democratic incumbent ran up a string of victories in battleground states. In Michigan, he rode his administration’s rescue of General Motors and Chrysler, and in the end, that also helped him capture neighboring Ohio, which many pundits believed was the must-win state for Romney. Florida — another big prize — remained too close to call, a fact that only underscored Romney’s election night troubles. Republicans claimed going into Tuesday’s election that the enthusiasm and momentum rested with Romney, who turned a moribund campaign into a revitalized effort on the strength of a series of strong debate performances last month. But that never materialized, as the incumbent president notched wins not only in Michigan but in Iowa, Nevada, New Hampshire, New Mexico, Pennsylvania and Wisconsin. One key state — Florida — was won by Obama later, but the battleground states that had already fallen to the president made it impossible for Romney to find a path to the 270 Electoral College votes needed to win the presidency. Obama will be face monumental challenges as his laundry list of pressing issues in his second term, including whether to scrap the Bush tax cuts, how to fill expected Supreme Court vacancies, and how to navigate the U.S. “fiscal cliff” negotiations, which are set to begin after his re-election.